You already know that a backlink profile is an important search ranking factor. 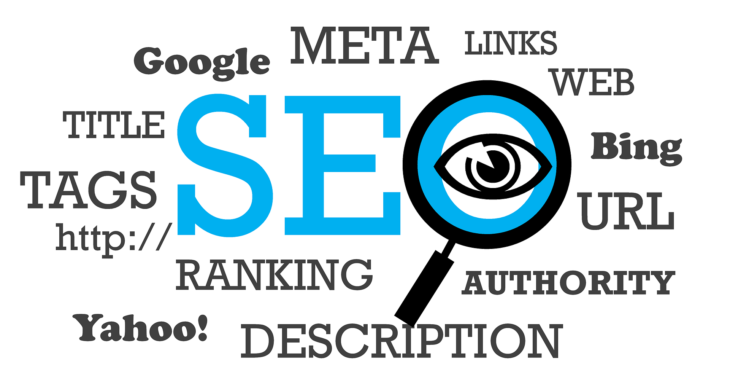 The more backlinks you get from high authority sites, the higher your rankings will be. You probably already have a successful strategy in place to earn these valuable links and improve your search engine rankings. But what if you could further enhance that strategy? You may have noticed how your company gets mentioned in an article on another website, even without your request. Some of those websites link to you; some don’t. If an author mentioned your brand in their post, you’re already halfway towards earning links. If you can convince them to convert those mentions into links, you could significantly improve your backlink profile. In this post, I’m going to tell you how you can discover those brand mentions and turn them into high-quality backlinks. There are several benefits of turning brand mentions into links. Link reclamation from high authority sites can improve your SERP rankings, drive more traffic, and help you increase conversions. 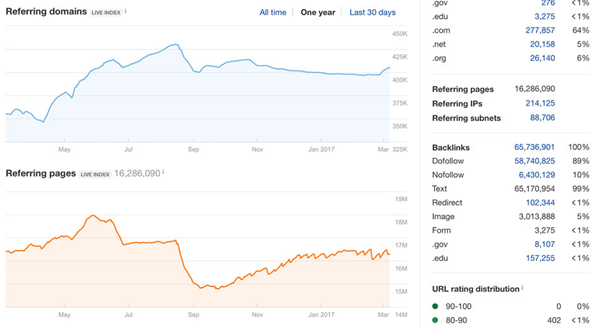 According to Moz, high-quality backlinks can also improve your domain authority. Turning brand mentions into links also gives you the opportunity to establish new relationships with other authoritative sites. This improves your chances of getting even more links from their sites, which serves you in the long run. Before you get started with the process, you need to have a clear idea of how to measure the impact of your efforts. Otherwise, you’ll just be blindly putting in the effort with no way to see whether or not that effort is paying off. Record the number of domains linking to you. Keep track of the number before you begin your efforts. And keep track of the growth in number once your efforts begin. This will help you see just how well your efforts are paying off. You can use tools like Ahrefs for this. Record your keyword rankings at the beginning and keep track of your progress. Keep a close eye on the number of targeted keywords that have moved up or down in search engine rankings. Pro Rank Tracker and Tiny Ranker are among the few tools that can help you keep track of this metric. Record the website metrics of pages that are getting the backlinks. Keep track of the changes in visits and conversions to see just how well your efforts are paying off. Google Analytics would perfectly suit this purpose. Mention – Mention is easily one of the best platforms to discover all of the online mentions about your brand or your client’s brand. Not only can it track social media mentions, but the tool also finds out all of the blogs that are talking about your brand online. 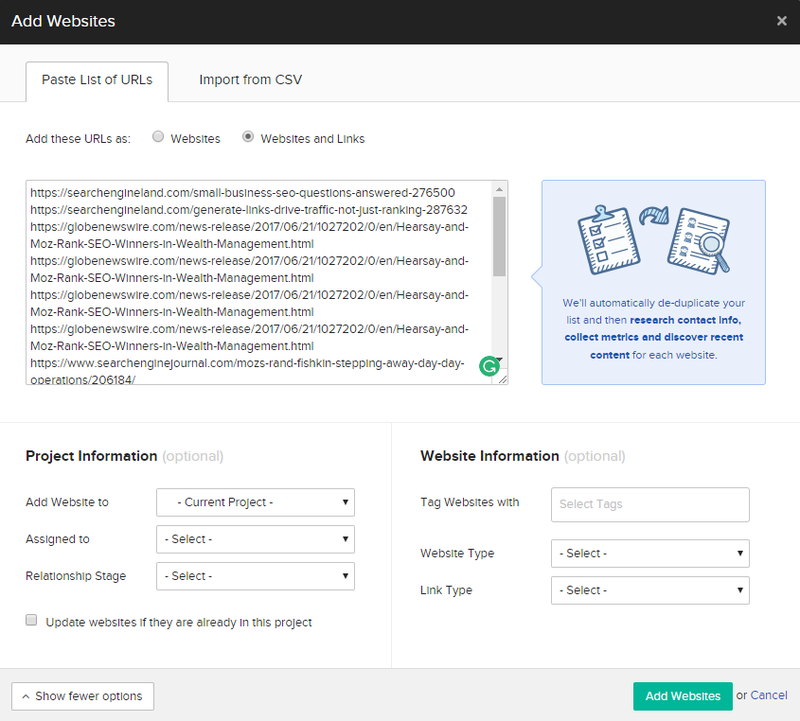 It gives you real-time alerts on new brand mentions as well, so you can quickly examine them for backlinks. 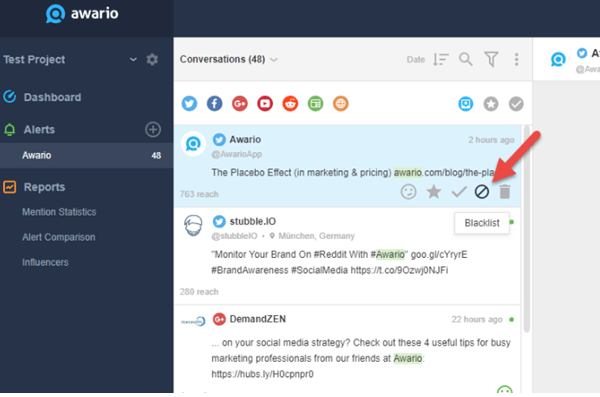 Awario – You can also use Awario, which lets you keep track of all mentions of your keywords. 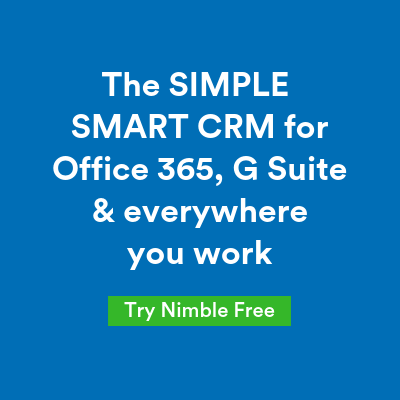 It gives you real-time updates so you can be the first to learn about conversations that affect your business or that of your clients’. What’s great about this tool is that it lets you filter the results so you can see the most important conversations first. These would be conversations that get a lot of engagement and views. This feature is perfect so you can quickly ask for backlinks and avoid missing out on reaching a massive audience. Using just the brand name as a keyword is not enough. For your searches to work, you need to figure out a list of keywords that can take you to the pages where an unlinked brand mention might be present. Other than your brand name or your client’s brand name, use keywords that are specifically relevant to your brand. Adding niche related terms to your brand name can help you narrow down your search results. Try excluding searches for certain keywords and domains so you can minimize the junk and prioritize on the most important mentions. Common exclusions can include social networks and other non-valuable link prospects with low domain authority. 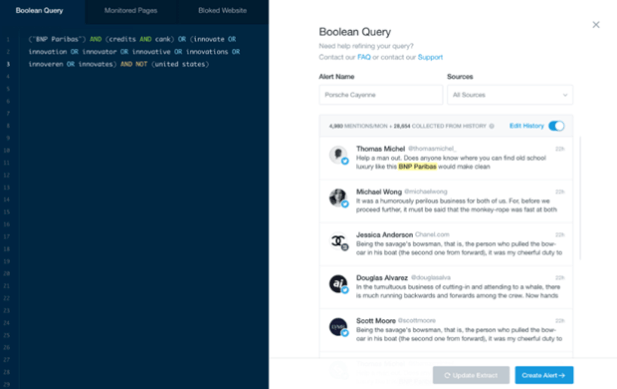 Among the tools mentioned above, Mention lets you block results from certain websites from appearing in your search. Ahrefs also lets you block certain domains from appearing in the search results. Awario lets you filter out negative keywords to exclude irrelevant results and add certain websites and social account to a blacklist. Once you have a bunch of URLs that include your brand mentions, you should consider filtering the results. First of all, filter your search results based on the DA of these domains. You should only consider link reclamation from sites with high domain authorities. Aim for sites with a DA above 40. You can easily do this using BuzzStream. Just upload your list of URLs, and the system will crawl through them to tell you their domain authority. It will also update you on whether the page already links to you or not. Now that you have a list of qualified links, it’s time to do some manual analysis. Check the filtered results for their published date. You need to make sure that the posts are recent or no older than two years. It can be frustrating for authors and publishers to add backlinks to posts from several years ago. Make sure that the brand mention is placed in a way that a link to your site can look natural. It should be relevant for readers and provide value to them. Also, the mention should be a positive one, else there is no point linking your domain to it. Once you have a list of URLs that fit all the above criteria, it’s time to reach out to their authors and publishers to convert those unlinked mentions into links. 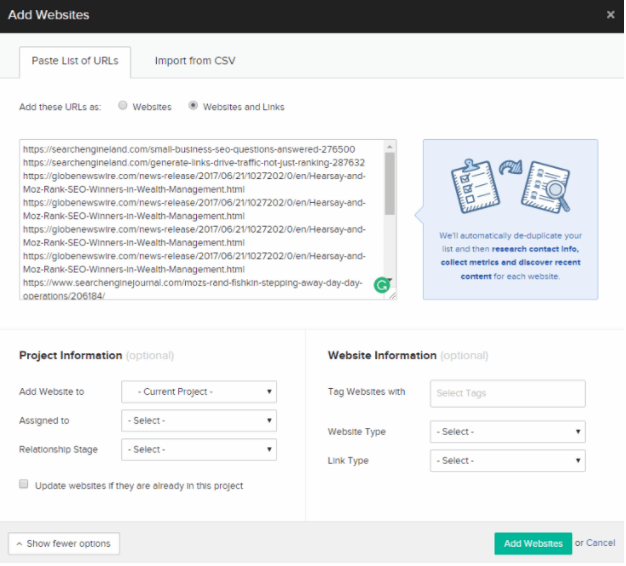 Now you have a list of URLs that mention your brand which can get you high-quality links to your site. So you need to reach out to their publishers and authors and convince them to link to your domain. If you use All My Tweets and are not finding results with searches for “email” or “contact,” try “dot.” Many authors and publishers use “me@gmail [dot] com” to put their email address on public profiles. Once you have their email addresses, you can reach out to them for backlinks. But you need to remember that they are not obligated to link to you. Even if they have quoted you directly, there is no rule stating that they should link to you. You should start your outreach email by thanking them for the mention. The mention alone is already proof that the author or publisher thinks you’re worth the exposure. Since they already consider you as a credible source, chances are that they’ll likely be open to hearing from you. You need to build a good rapport with them. When you request that they link to your site, help them understand how the link would be useful for their readers. You can also help them add more value to their content with a small and relevant update suggestion. Once you convince them that the link would be worth it, they’ll likely be happy to turn the unlinked mention to a link. And, they might also be interested in building a long-term working relationship with you. Although you need to be direct with your request, you shouldn’t jump to it right away. Follow your “thank you” with a couple of lines to show them that you read and liked their blog post. That doesn’t mean you should dole out fake compliments in all of your outreach emails. Take the time to read and process each of the posts that mention your brand. If there are some ideas or points that you particularly like from the post, appreciate them for those points. You can also suggest a small update for more value addition to their content (only if you find something appropriate). Don’t force the compliment. If you don’t find something that you like, it’s best to skip the compliment altogether. Seasoned publishers and authors can easily see through empty praises so you could lose your chance of gaining a backlink if you include one. In relation to the first point, you could build upon your budding relationship by offering them something. Leave the door open for further communication and future collaborations. Whether it’s a link back to them or something more substantial like guest posting opportunities. That’s surely going to pique their interest, and they’ll be more receptive to the idea of adding a link. But remember to be subtle about it. Hint at how it would be lucrative for both of you – in terms of SEO as well as reaching new audiences. Avoid writing a long, drawn-out email that goes on and on about how much you admire the author or how long you’ve been following the publication. Your outreach email should be short and straight to the point. Like I said earlier, the person who wrote the article already knows about you since they’ve mentioned you. In some cases, they could have simply forgotten to add the link. So just a simple reminder would serve the purpose of earning you a new backlink. Some authors or publications might have certain rules about adding backlinks. In this case, there’s a good chance they avoided adding the link on purpose. So even if you get a negative response, you should simply thank them and then continue with your other outreach prospects. Thank you so much for quoting me in your article [article link or title]. I really appreciate it. I particularly love the point you made about [Catch a specific point and write about it]. Not enough businesses make use of them. Wait for them to respond, and don’t forget to thank them again when they do. That goes for both refusals and successful outreach efforts. After that, start monitoring the impact of your efforts using the metrics I listed earlier.